Snow & Ice Salt & Chemicals Unlimited has a full supply of ice melt chemicals available for fast shipment or pick up 24/7 before, during and after the storm. We have customers from all over, but primarily service snow removal companies in Washington DC, Baltimore, Maryland, Virginia, Delaware, Pennsylvania, and West Virginia. 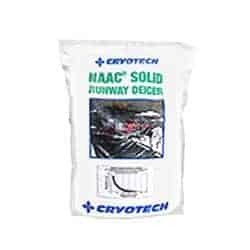 Check product details and contact us for more information. 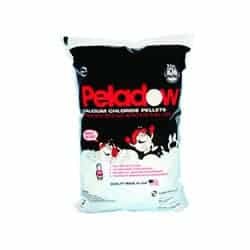 Peladow contains 90% calcium chloride and penetrates ice faster than other ice melt chemicals even in extreme cold down to -25 degrees. 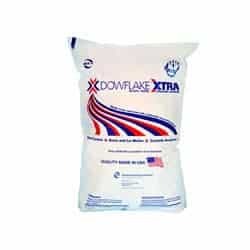 Dowflake Xtra is a concentrated 83-87% calcium chloride flake product containing 10% more calcium chloride than other flakes. It is effective to -25 degrees. 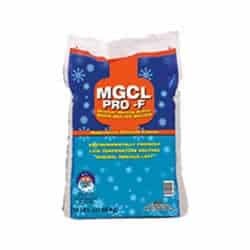 ComboTherm is an ice melt blend that contains at least 70% calcium chloride. It is effective to about -20 to -25 degrees. 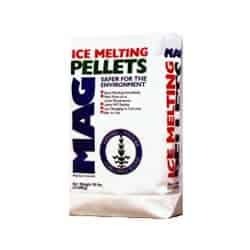 MAG pellets are a safe ice melt solution with lower chloride content than other ice melt chemicals. They are effective to about -13 degrees. MAG pastilles are safer for the environment like pellets, but cut in half for less rolling and blowing once scattered. They are effective to about -13 degrees. 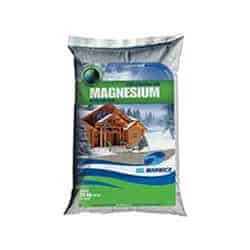 MAG flakes have the same ingredients and benefits of other magnesium chloride products, but in the shape of a large flat flake that doesn’t move when applied. They are effective to about -13 degrees. 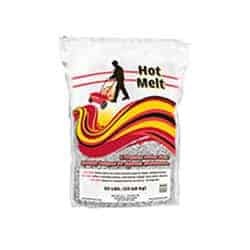 Hot Melt is a premium ice melt blend of sodium chloride & magnesium chloride (80/20), specially designed for sidewalk maintenance. It is effective in low temperatures. 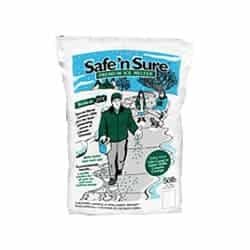 Safe ’n Sure is a premium ice melt blend that contains a combination of sodium, calcium, potassium and magnesium chlorides plus CMA. It works well at temperatures as low as -25 degrees. 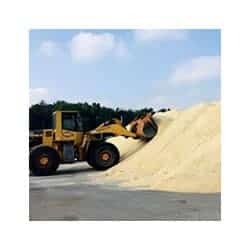 We have solar and mined bulk salt that is extra-dry with calcium chloride for outstanding ice melt action. 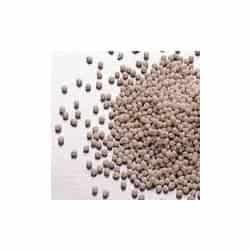 Our bulk salt and all ice melt chemicals are always available for pick up 24/7. Calcium Magnesium Acetate is less corrosive than tap water, yet an effective ice melt solution down to -20 degrees! Sodium Acetate is a powerful ice melt, but safe for the environment. It gives off heat as it dissolves melting ice down to -20 degrees.